A more timid entrepreneur might have been put off by the creaking stairs or the leaking roof. 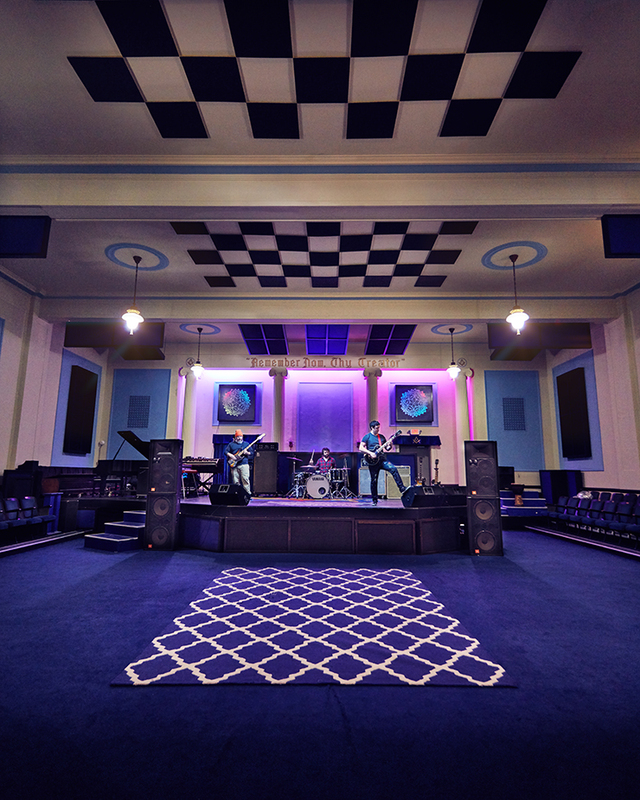 But Scott Beseler had one thought when he stood in the Masonic Lodge in Dayton, Kentucky: “This is basically what we need.” Now that lodge is The Lodge, a recording studio where musicians can also get publicity photos made and have posters and T-shirts printed. Beseler bought the building in 2011, added a stage and acoustic treatment, and turned a viewing balcony into a control booth. Plenty of original features remain, including the admonition from Ecclesiastes hovering overhead: Remember Now Thy Creator—a snippet of scripture that’s flanked by lightboxes created by Chicago artist Matthew Shelton. A couple of years ago, Walk the Moon spent six intense weeks on-site, writing songs and recording demos for their first album, and their website notes the building’s “secret rooms, ghosts, and taxidermy.” Admittedly, the place has a slightly haunted vibe. But given the success of that group’s “Shut Up and Dance,” they must be friendly spirits.